That’s right, the next hop on the great distro hopping experiment of 2015 is not a Linux distribution at all but a BSD instead! While some of us have briefly used BSD on The Linux Experiment before, including PC-BSD, I personally have not and so this is a bit of a new experience for me. I’m looking forward to seeing what the differences are and if I end up preferring one over the other but first what exactly are the technical differences between the two? If you would like a full list of differences I would highly recommend checking out the following excellent links from which I will summarize below. 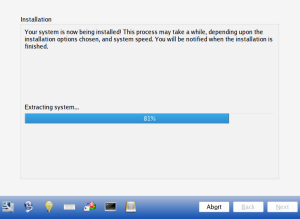 Linux distributions start by using a version of the (shocker!) Linux kernel whereas each BSD maintains their own BSD kernel. While the distinction is largely a technical one the other main difference is that while Linux is worked on by many people it is Linus Torvalds, the creator of Linux, who maintains control over the direction of the project. For BSD each project team maintains their own control, although within each project there is usually a small group or single individual who has last say as well. 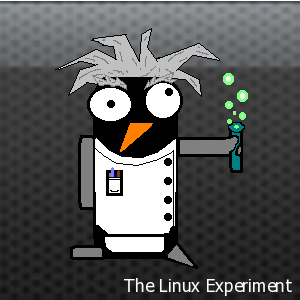 As mentioned above Linux is actually just a kernel, thus that whole GNU/Linux thing. BSD projects on the other hand maintain all software in one place, including things like the applications (Firefox, KDE, etc) as well. That doesn’t mean that BSD projects create all of that software mind you so the differences again are largely minor. 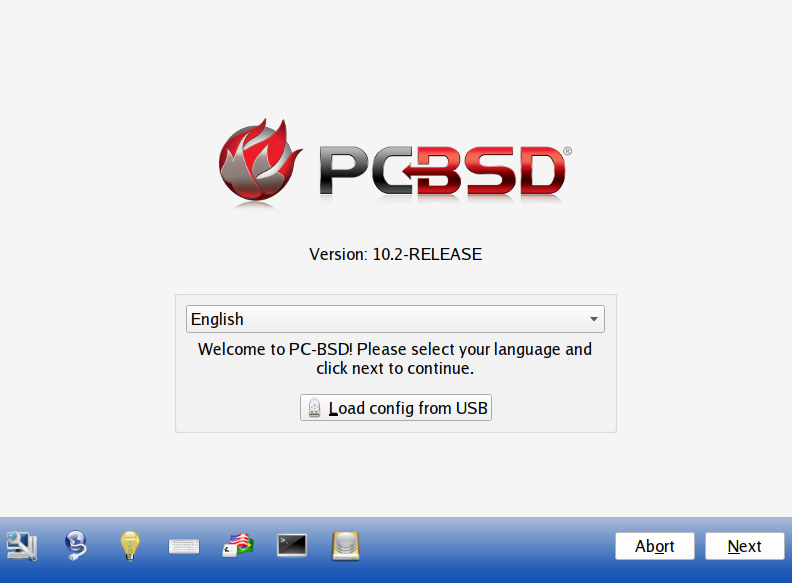 Linux is released under the GNU General Public License while BSD is released under the BSD License. The major difference between the two are that if you make a change to Linux you must make the source code for that change available upon request and it must also be licensed under the GNU GPL. The BSD license on the other hand has no requirement for you to make your changes available to the public. 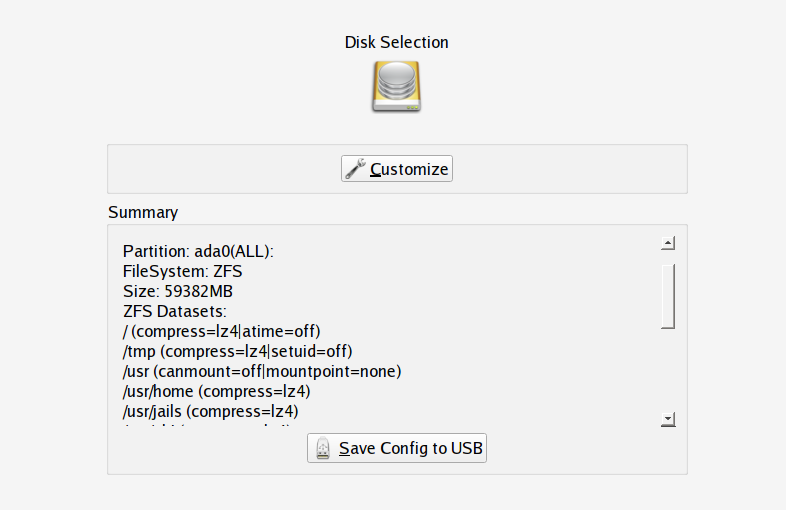 While Linux and BSD software are compiled differently and technically incompatible many BSDs come with libraries that can run Linux programs almost natively making the difference (at least in that direction) somewhat moot. Without further ado I give you a walk through of the install process for those who are interested in seeing how it may differ from a standard Linux install. 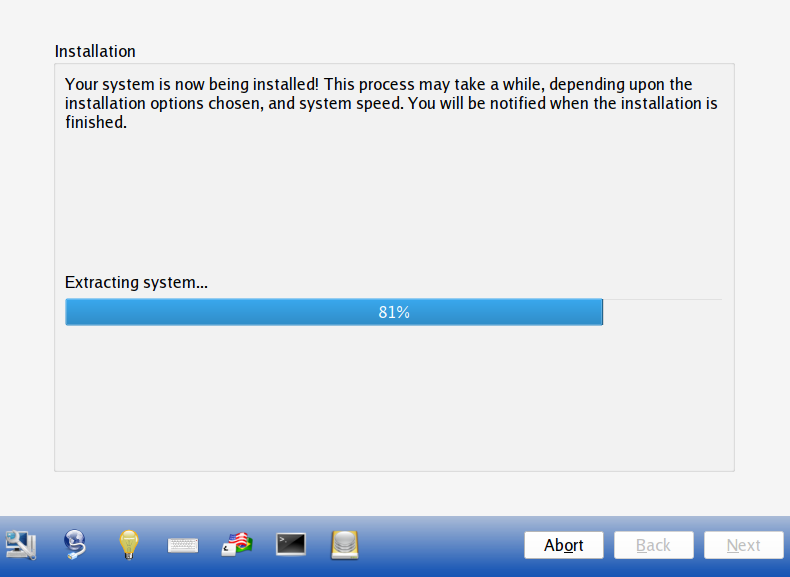 On the first screen you get to choose the type of install (i.e. 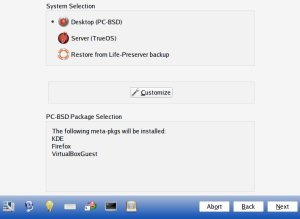 Desktop or Server) as well as customize the additional software you want to install. 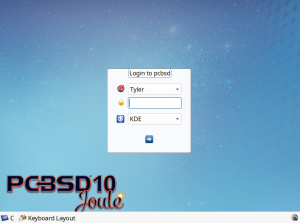 PC-BSD uses KDE by default which should provide some familiarity. 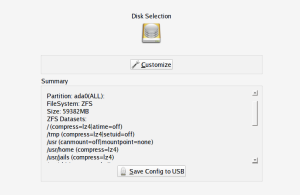 By default PC-BSD uses the ZFS file system and appears to enable compression on a number of directories which may not be unique in the BSD world but is certainly something new for a Linux user. A quick reboot and some minor user configuration later we get to log into our desktop. 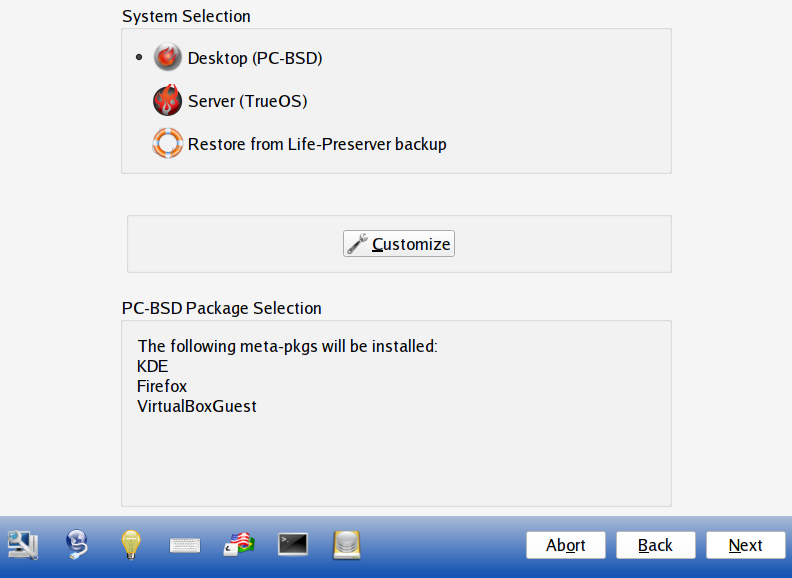 In my next post I’ll go through the default applications that come with PC-BSD and provide my initial thoughts on using it. 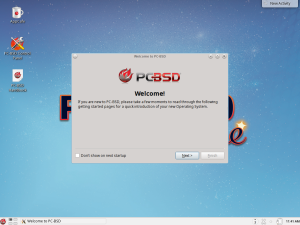 Distro hopping: so what comes with PC-BSD?